Last week saw a plea for submitters to look at our guidelines and send in stories 1500 words max (we do offer a little leeway on the upside though) and … I found a 6000 word story in my inbox. Please don’t do this, I have read many stories recently, have given all my evenings this week (barring last night) to Horror Tree, have even ignored my family in order to read your submissions – which I do enjoy doing – but I have only so much time to give and I am afraid I will now be rejecting any stories significantly over our submission guidelines without reading them. This may change in future if we are able to extend our publications to short stories and novellas but that will only be when we have more people on board the editorial team. 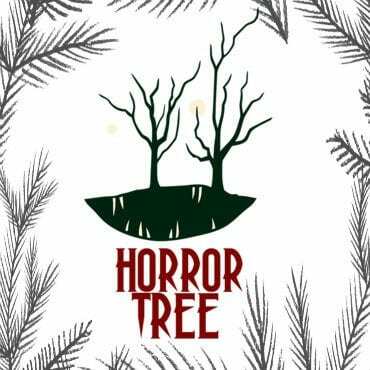 If you would like to see this development at Horror Tree and would be willing to help, please get in touch with us. It is something Stuart and I touch on occasionally and then it gets shot into the long grass due to lack of time. We are considering the possibility of serials in flash but more of that in the future. In the meantime, keep writing and keep submitting. Something I need to find time to do! Year 2 is continuing on strong and February is both Women in Horror Month and a fun set of horror for you all to enjoy! Heng sat in the stream that ambled along the outskirts of the village, tossing handfuls of water up into the air and over his back. He loved the feel of the chilled current washing over his legs; it perfectly contrasted with the heat that had permeated the day and the humidity of the newly fallen night, baking the Cambodian forest and all manner of life within it. In the daytime, all the boys and girls of the village had played and lain about here at some point or other, but now—this late in the evening, and with all of the villagers asleep—the twelve-year-old had the waters all to himself. He’d snuck out of his family’s hut the moment he heard his parents’ and grandparents’ symphony of snoring striking up through the straw walls. It was not the first time he’d done such a thing; he would often sneak about the village at night, feeling as though he had all of the world to himself, believing that the moon above came out only for him to see, that when the wind stirred, it would tell quiet secrets meant for his ears alone. “Hello,” the wind whispered softly to him in that very moment. He stopped his splashing, surprised by the airy greeting. He stilled himself completely, waiting for the air to speak up once more. When the sound reached his ears again, he realized it was not the stir of a breeze, but a person’s voice. He glanced up—and saw a young woman staring at him from the other side of the bank. She was smiling at him. He could only see her face (as the rest of her body was concealed behind a row of bushes and tall ferns), but what a face it was. It surely didn’t belong to anyone in his village; there was no woman that lovely hereabouts. Her eyes reflected the silver glint of the moonlight; the teeth of her smile were nearly as bright, against the shadows. Her lips looked full and her hair was straight locks of sable. Most astounding was her skin, which glistened and glowed—not with the sheen of sweat, but a strange beauty that only princesses in fairy-tales could have, like the ones his chitea told him. The woman giggled and shook her head, refusing to tell. The pretty woman’s smile fell into a small, coy grin as she rolled her eyes about in whimsy. It was as though she were saying: Oh, here, there; anywhere, nowhere. After this, she gave another giggle, and her big smile returned to its full glory. The woman started backing away from him, then turned about and headed off into the forest. She disappeared quickly into the branches and the bushes, not bothering to look back and see if he were coming along. He rose from the stream, his shorts soaked and dripping. He ran after her, minding his bare feet as he darted across the forest floor. For a terrible moment, Heng feared that he had already lost her, as she was nowhere in sight. The trees and vegetation here were dense, and the growth overhead cast everything into near-blackness. He craned and angled his neck every which way, desperately searching—and saw her head ducking beneath a branch some twenty yards away, the rest of her still shrouded by the plants and the dark. She was moving awfully fast, and he’d have to pick up the pace if he wanted to catch up. He was determined to try, though, and he hopped and sped along, making a path where he could. He didn’t know how long he gave chase or how far into the trees they went, and he did not care. He merely wished to see her again. He managed to keep her in sight most of the while, her head dipping and bobbing along swiftly and surely while he huffed and sweated in his hurried dash. But a moment came when she pulled too far ahead of him and disappeared. That fear rose in him again, and he called out to her to stop. She did not call back. With all the energy and nimbleness he had left, Heng pushed forward, clearing a thick flank of trees, leaping beyond them and out into a small field of grass. The moon shone brightly overhead, illuminating the softly swaying blades of blue-green grass. The woman stood in the center of the clearing, facing away from Heng, her hair bobbing on the breeze. But she wasn’t standing. She had no legs to stand upon, nor much of anything else, for the matter. Heng was horrified to see that there was no body to speak of underneath the woman’s head, only a collection of bared organs that hung suspended in the air. A bloody stretch of throat and oesophagus crept down from the base of her skull, leading down to a fat, red-brown stomach surrounded by bundles of intestines, a slab of liver, and a pulsing heart. Rooted in his dread and choking on his disgust, Heng watched as the head and its organs revolved about, the woman’s face coming into view, her eyes falling upon him with crafty satisfaction. Her beauty had left her, her tanned skin now deathly pale and her once pearly teeth turned to thin needles, like those of a Venus flytrap. The ahp shot a mocking hiss at Heng and then sped forward, as a viper would towards its prey, the spirit-creature’s organs trailing behind the sinister head. Heng screamed, meeting death beneath the moonlight. 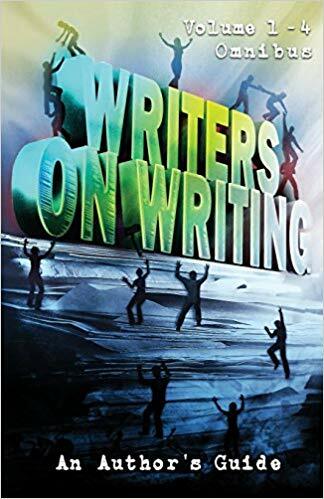 Patrick Winters is a graduate of Illinois College in Jacksonville, IL, where he earned a degree in English Literature and Creative Writing. He has been published in the likes of Sanitarium Magazine, The Sirens Call, Trysts of Fate, and other such titles. You can follow Patrick’s work at his homepage. It kept talking to him. The head swivelling, lips red and open. He hated it. No, worse, he feared it. Years ago they’d been a star double act topping the bills. Jake Wheeler and ‘Mr Dandy’ in his tiny tux and bow tie. Everyone had loved them. Until the day Mr Dandy found his voice. The words he used! The deeds he described! Shocked matrons left in droves. Children goggled. Jake dived into a whiskey bottle. The curtain dropped forever. Jake watched saliva dribble down the puppet’s painted chin. “Feed me, Jake,” Mr Dandy whispered. Alyson lives in West Yorkshire with her family and 3 rescue cats. She teaches creative writing classes, writes noir Flash Fiction and ghost stories. She is one of the writers in ‘Women in Horror Annual 2’, in Raging Aardvark’s ‘Twisted Tales’, her stories can be downloaded at www.alfiedog.com as well as being available on various sites like zeroflash/Tubeflash/101 words/three drops from a cauldron. Her debut collection, ‘Badlands’, is due out soon from indie publisher Chapel Town Books. “Never good enough ” she said to herself. “You always told me how I would never measure up.” Picking up the gun from the table she approached the prone, angry figure. “I know you want to say something”she giggled, as she toyed with the ropes and gag which kept him from making movement or sound. Shooting him in the heart, then head gave her satisfaction. Turning the gun on herself gave her peace … finally. You can follow Kim’s work on Amazon. He stirred the curry, while watching the rice boil. His wife was upstairs, as always. He barely saw her these days; she never came downstairs, but that didn’t matter. He didn’t need her company to stay sane. The simple reassurance that there was another human in the house was the key to maintaining his mental stability. He served the meal then climbed upstairs. He stared at the corpse of his wife, slumped over the desk where he’d killed her. She’d been dead for weeks. He hadn’t planned on keeping her, but he just couldn’t bear being alone. Great stories this week! Love the atmospheric setup for Ahp!